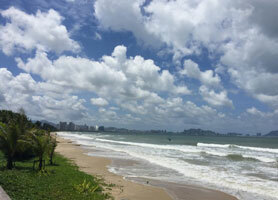 Renaissance Resort & Spa Haitang Bay Sanya Hainan Island China. 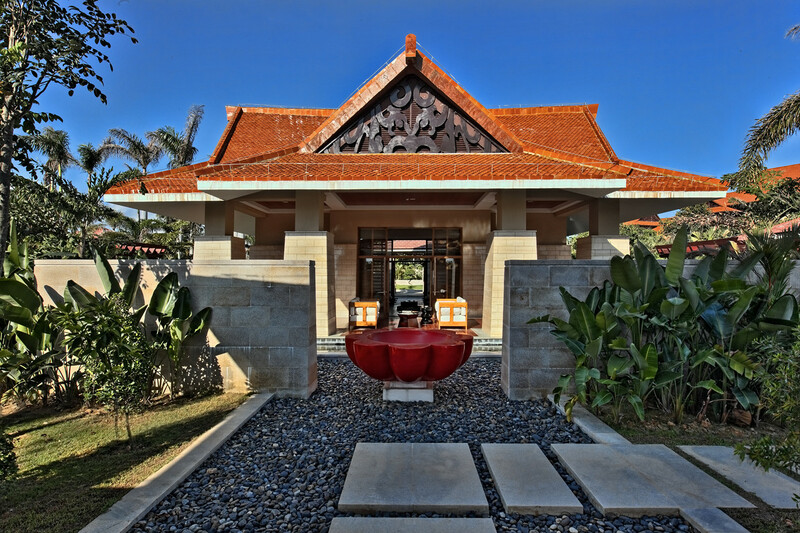 Right on Haitang Bay Sanya, 50 minutes from Sanya Airport, and 30 minutes to downtown Sanya, 20 minutes to Yalong Bay Train Station. 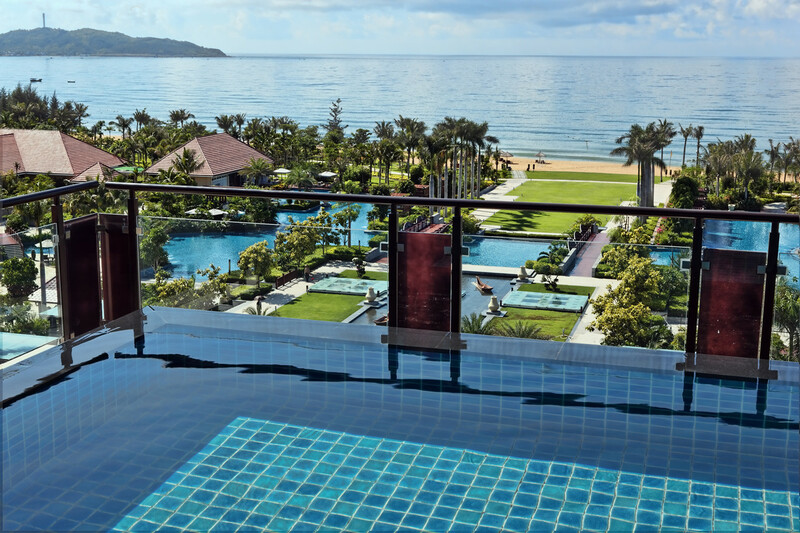 Featuring 3 pools and 7 dining options, Renaissance Sanya Resort offers classy rooms with iPod docks and ocean, lagoon or mountain views. A spa, bowling alley and gym are offered. Haitang Bay’s Renaissance Sanya Resort & Spa is a 35-minute drive from Sanya Phoenix International Airport. Nantian Hot Spring is a 15-minute car journey away. Minigolf and tennis facilities are available in the resort for a work out, while a sauna provides the place for an unwinding session. A kids’ club offers recreational activities for little ones. A variety of Chinese cuisines can be enjoyed at Red Star Café and Star Anise while fresh seafood and a beachfront location are featured at Star Fish Market. For coffees and ice-cream, guests can head to Candy Box, a 1950’s themed espresso bar. 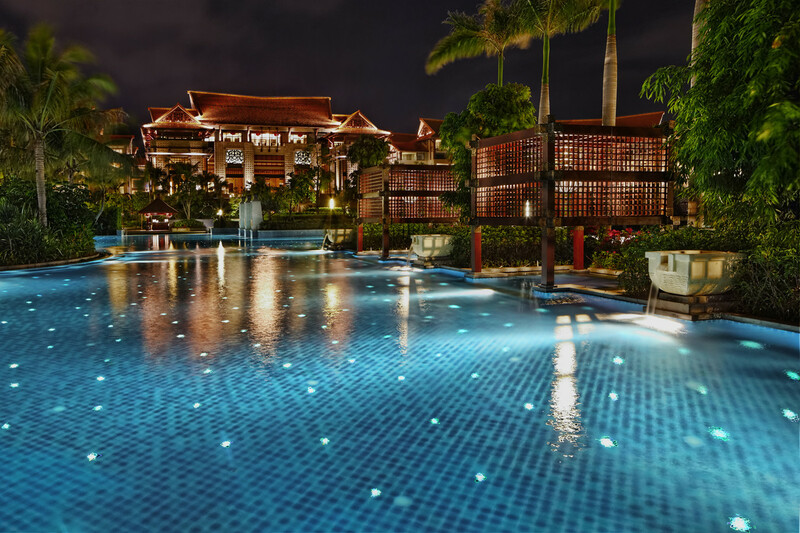 Renaissance Sanya Resort & Spa is Marriott International’s lifestyle brand, you will discover wonderfully new experiences after Marriott Resort Yalong Bay. 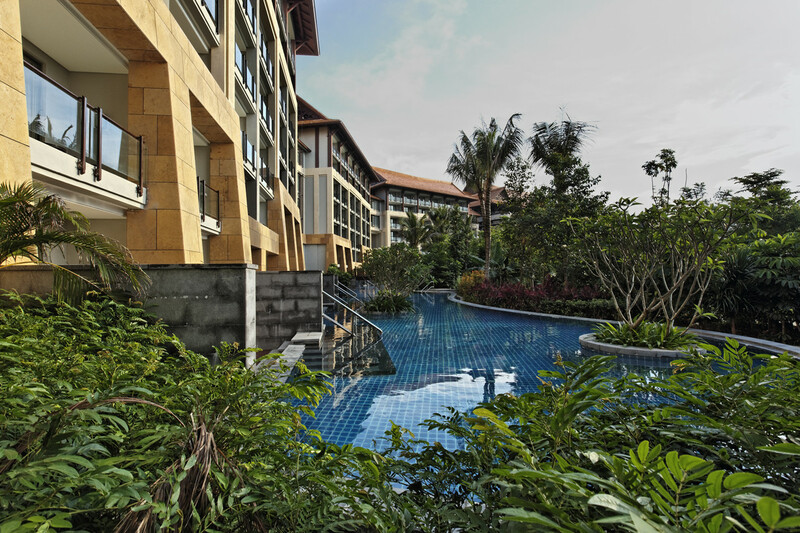 The exterior of the resort looks like grand tropical palace with breathtaking ocean view. 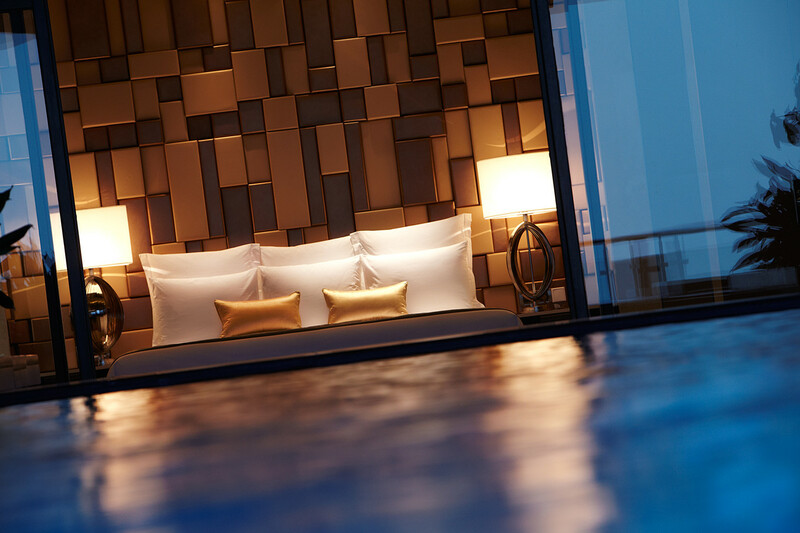 There are 507 rooms starting at a generous 58sq meters including 90 suites, 10 two-bedrooms villas with private swimming pools. 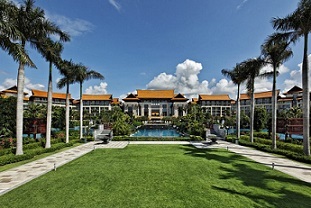 As it is far from downtown Sanya, Renaissance Sanya Resort & Spa is a super new choice for guests who look for isolated beach with world class resort, Quan Spa, Kid’s Club, and the amazing R-cade entertainment center with tenpin bowling, a cinema, snooker, table tennis and individual Wii and Xbox zones. 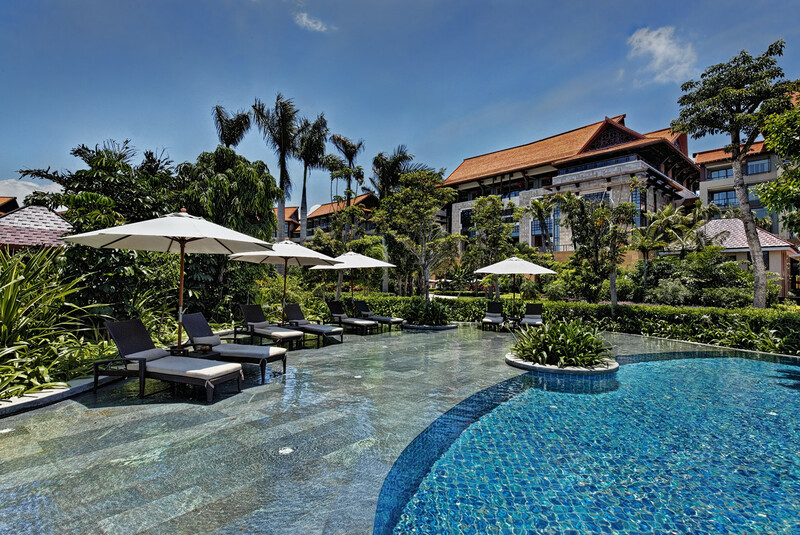 Renaissance Sanya Resort & Spa is also a great choice for family with kids, more facilities & services than Marriott Resort Yalong Bay. 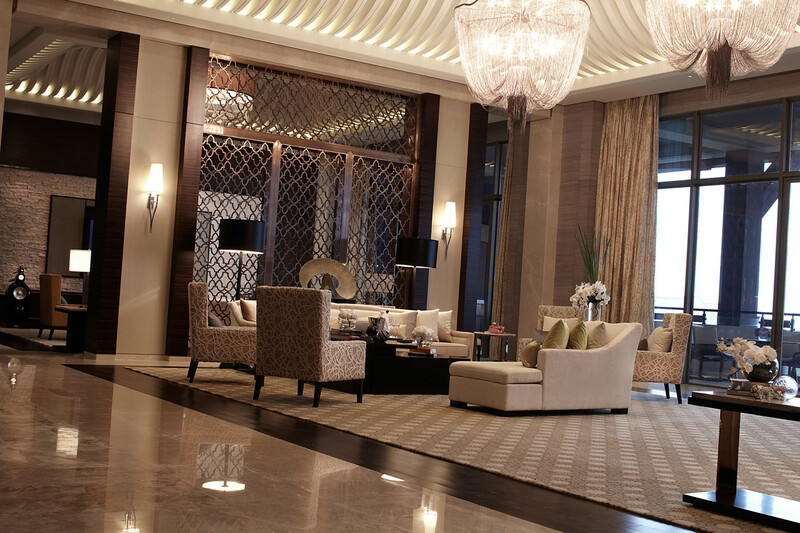 507 rooms in including villas & suites with coffee machine, a very spacious balcony with chairs & iPod docking system. Our Special offers with buffet breakfasts and local tax for max.2 adults/room/night. You may find other sites with cheaper offers. Please note their offers may not include buffet breakfasts, local tax and service charge. 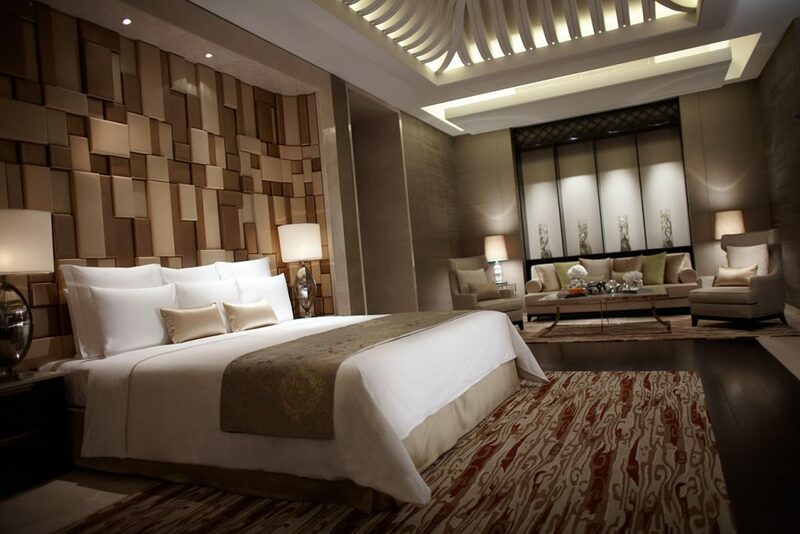 Extra bed at RMB461/night with buffet breakfast and local tax. If you join Marriott Member plan upon check in at the reception, the WIFI is free. Wireless in hotel rooms too. services: Chinese Restaurant, Western Restaurant, Candy Box, Star Fish Market and Lounge Bar. Sports & Recreation: Health Club with Cardiovascular equipment, Fitness services with all kinds of modern fitness facilities, Kid’s Outdoor Pool, Children’s Pool Outdoor, Outdoor Lagoon Pool, Outdoor Lap Pool, Whirlpool, Bike rentals, Bowling, Jogging/fitness trail, Mountain biking, trail, Sauna, in-door able tennis, Tennis, beach Volleyball, R-cade (Game Center) with Tenping Bowling Lanes, Snooker, Table Tennis, Wii & Play Stations, Kids Pool with Water Slide, Outdoor Playground. Kid Care: R-cade entertainment center with tenpin bowling, a cinema, snooker, table tennis and individual Wii and Xbox zones, Kid’s Outdoor Pool, Children’s Pool Outdoor.